Cape Town - The decision by S&P Global Ratings to lower South Africa's long-term foreign currency sovereign credit rating to sub-investment grade, with a continuing negative outlook, is a serious setback for the country. This is according to Daniel Mminele, Deputy Governor of the South African Reserve Bank (SARB). He was speaking at the annual cocktail function of the Financial Markets Department of the SARB on Tuesday night. "We will now need to redouble our efforts in providing assurance and communicating continued commitment to sound macro-economic policies and their consistent and predictable implementation, so as to reverse the current ratings trajectory." Mminele said this will require a continued collaborative effort between the government, business and labour to boost domestic and international investor confidence. He noted that financial markets will likely need more time to fully process recent political events and their economic consequences. "It remains to be seen whether the recent market developments represent a reassessment or a repricing of the South African credit. It is similarly too early to draw any firm conclusions on how these developments will affect SARB’s own inflation forecasts." 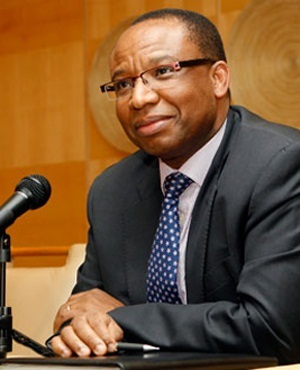 Mminele said the Monetary Policy Committee (MPC) previously cautioned that, should some of the factors which had contributed to a more favourable outlook reverse and undermine the inflation outlook, it may reassess its views. "The MPC stands ready to respond appropriately in line with its mandate should the need arise." The deputy governor explained that since the last cocktail function, the most notable development was the strengthening of the rand which, by last week, had appreciated to a low of R12.31 against the US dollar. "This was the strongest that the rand had traded since mid-2015. On a trade-weighted basis, the South African currency had appreciated by about 19%." Mminele said this rally could be attributed to a number of factors, including the pickup in commodity prices, investor positioning, and a reprieve from international credit rating agencies last year regarding a possible downgrade of South Africa to sub-investment grade. "The rand was also supported by more favourable terms of trade and an improvement in the current account balance that has reduced the perceived vulnerability of the currency to possible capital flow reversals. "This made the rand more resilient even during externally induced risk-off episodes, appreciating alongside a stronger US dollar and/or depreciating by less compared to its emerging market peers," he said. Mminele added other financial assets followed a similar path of appreciation over the year. Bond yields rallied and breakeven inflation declined. The yield on the benchmark R186 bond had declined from just over 9% a year ago to a low last week of 8.32% while breakeven inflation on the R197 (5-year) inflation-linked bond declined from 7.2% in April last year to around 5.8% last week. With the lower inflation expectations, the (FRA) market had, by last week, priced in more than one rate cut by the first quarter of 2018, with the 12x15 FRA trading below 7.0%.